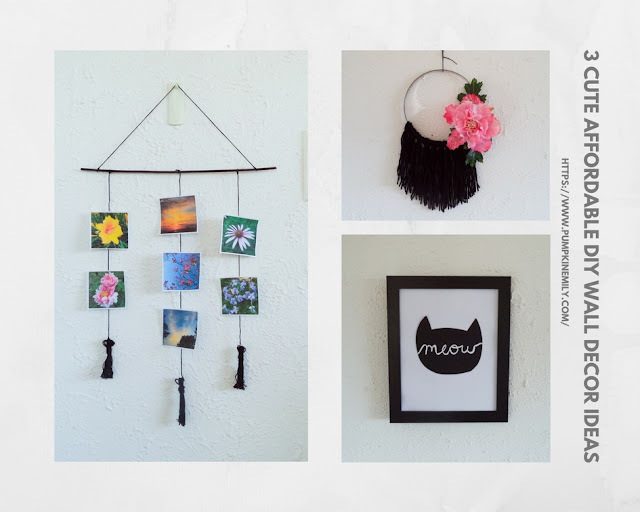 I'm going to show you how to make three cute wall decor ideas! I'll will be showing you how to make a yarn wall hanging. I will also be showing you how to make a frame art idea and for the last idea I'll be showing you how to make a picture display. 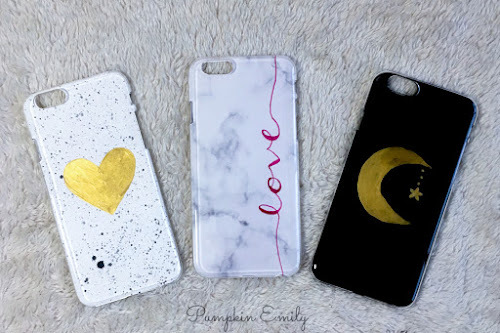 I think all of these ideas are really affordable to make and these are cute DIY ideas. 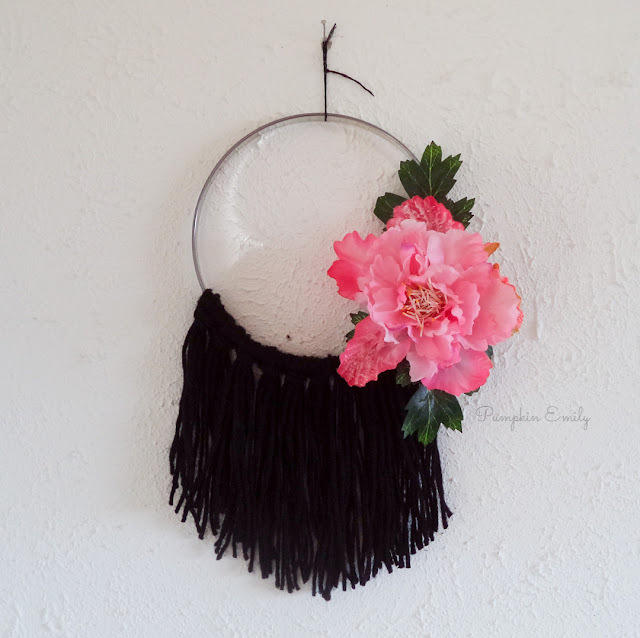 The first DIY I'm going to show you how to make is this yarn wall hanging with a flower on it. 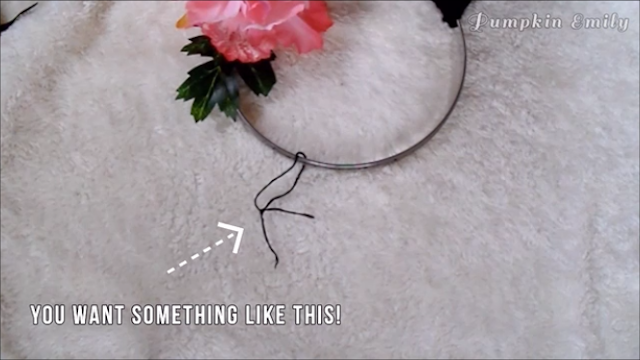 What you are going to need for this DIY is a hoop. I used a embroidery hoop but you can use whatever hoop that you want. 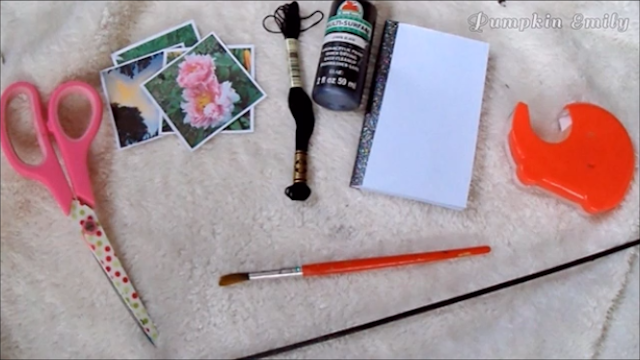 You will also need fake flowers, yarn, scissors, a book and a glue gun. The first thing you want to do is to wrap the yarn around a book or something else about five or more times. It just depends on how you want the yarn to look like and the longer the book is the longer the yarn will be. Then you want to take your scissors and cut one end of the loops of yarn. Now you want to take your yarn off of the book and keep the yarn folded in half. Then you want to put the loop of the yarn under the hoop and then you want to pull the tails of the yarn through the loops of yarn. You want to make as many of these as you want. I made ten of these. Once your finished with the yarn, you want to pull the fake flowers and the leaves off of it's stems. You can use as many flowers and leaves as you want. Then you want to layout how you want the flowers and the leaves to look like on the hoop and then you can glue them onto the hoop. If you need to you can cut off any of the extra stem off of the flowers with scissors. Now you can take a piece of string or a piece of yarn and tie a loop onto hoop the into a knot. This piece of string or piece of yarn will hang the decoration up on a wall. All you have to do now is to hang it onto a wall and trim some of the extra yarn off so you can shape the yarn into a triangle or you can use the shape of the hoop to create your shape. and that's how you make this really easy and cut yarn wall hanging. 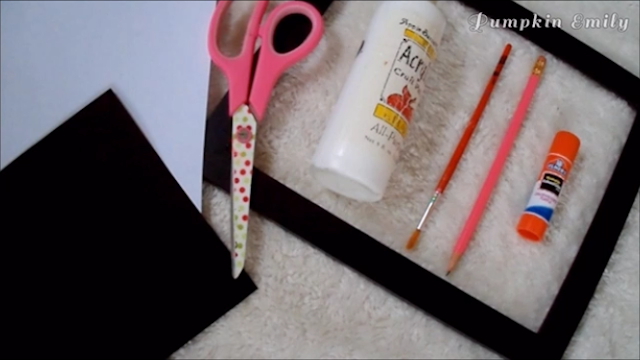 The next DIY I'm going to show you how to make is this really easy frame art idea. For this idea you will need a frame, a white and black piece of paper, white paint, a paintbrush, a pencil, a glue stick or you can also use Mod Podge, and scissors. 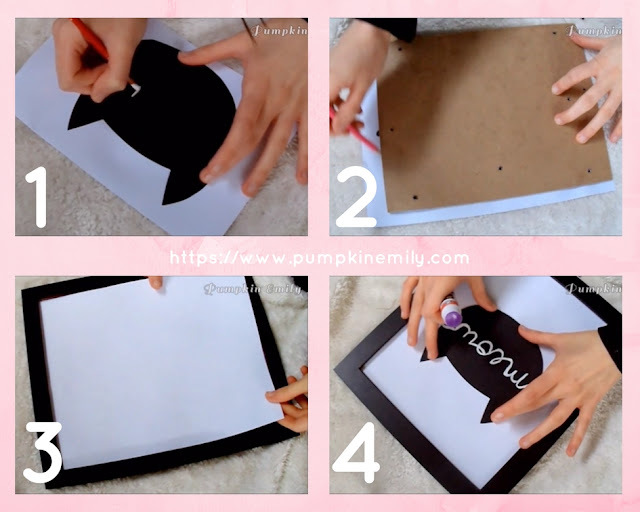 The first thing you want to do is to draw out a silhouette of a cat head or a body of a cat or you can draw any animal or shape that you want onto the black piece of paper. I drew a cat head onto the piece of paper. Then you want to cut it out. After you are done cutting your shape out you want to draw a word onto the shape with a pencil. 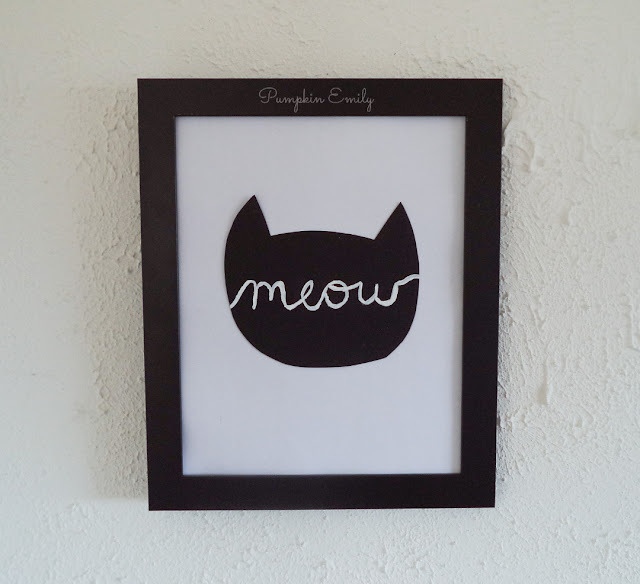 I wrote the word "meow" onto it but you can write any word that you want onto the shape. Then you want to paint over the word with white paint. While the paint is drying you can take the back part of the frame and trace it over the white piece of paper and cut it out. Once you're done cutting the piece of paper you want to put it into the frame. Once the paint is dry you can glue on the shape onto the middle of the white piece of paper and then you will be done. You can use the frame as a guideline to know where the middle of the paper is. and that's how you make this really easy frame art idea. The last idea I'm going to show you how to make is this picture display. 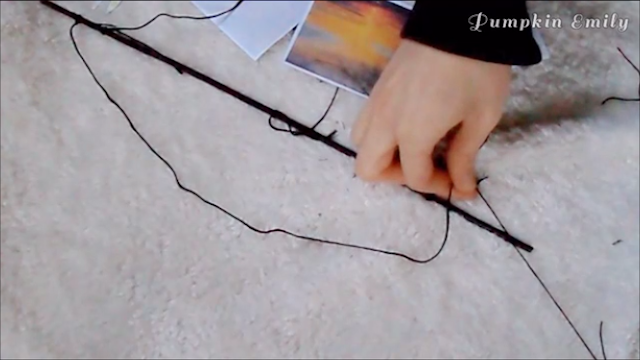 What you will need for this DIY is some pictures, string. I used embroidery thread. 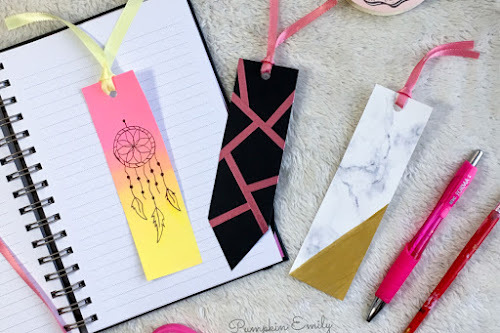 You will also need something to wrap your string around to make your tassels like a book or a piece of cardboard, tape, a stick, you can use a barbecue stick or a different type of stick, and you will also need paint, a paintbrush, and scissors. The first thing you will have to do is to paint your stick. 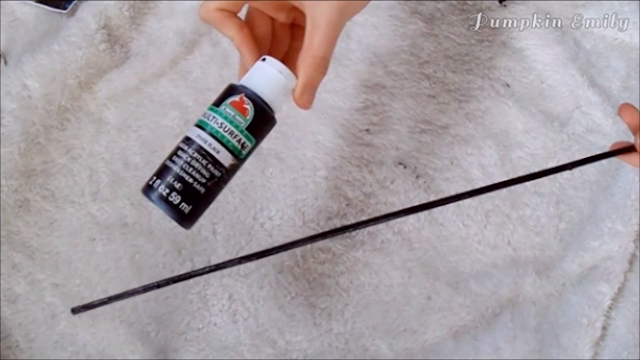 I painted my barbecue stick with acrylic paint but you can spray paint it. You will need to print out some pictures and then you want to cut them out. If you want you can cut a border around the pictures like how I did. 1. Now you want to take a book or a piece of cardboard and wrap the string around it about twenty or more times. The bigger the book and the more times you wrap the string around the book or the cardboard the bigger the tassels will be. 2. Then you want to cut one side of the loops of string and then you want to pull the string off of the book or the cardboard and keep the string folded in half. 3. Now you want to take another piece of string and wrap it around the tassel twenty or more times. Make sure to leave a little bit of extra string so you can tie it later. 4. After you are done wrapping the string you want to tie the extra string and the string you were wrapping with together into a knot and you want to cut the extra string off. 5. Now you want to wrap a piece of tape on the bottom of the tassel and take your scissors and cut on the middle of tape so the the tassel will be even at the bottom. 6. 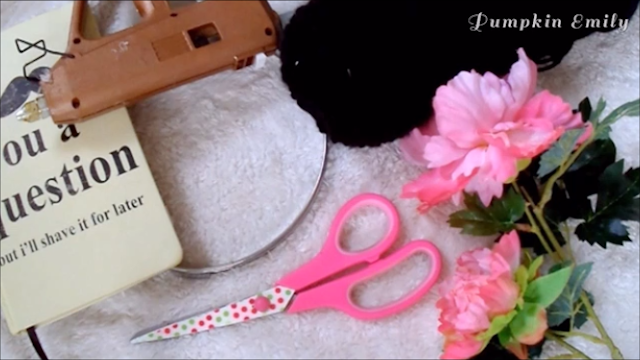 You can skip this part of using the tape and you can just trim the ends of the tassel off instead with scissors. 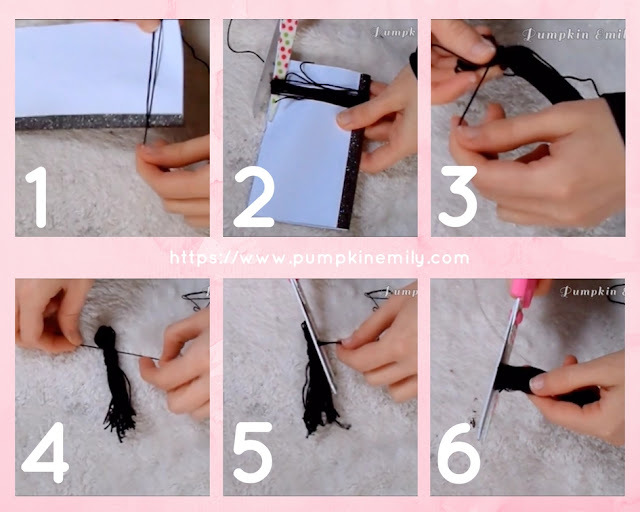 Now you want to follow these steps to make as many tassels that you want. I made three tassels. Now you want to take your stick and some string and tie some string onto the stick. I tied three pieces of string onto the stick but you can tie as many as you want onto the stick. 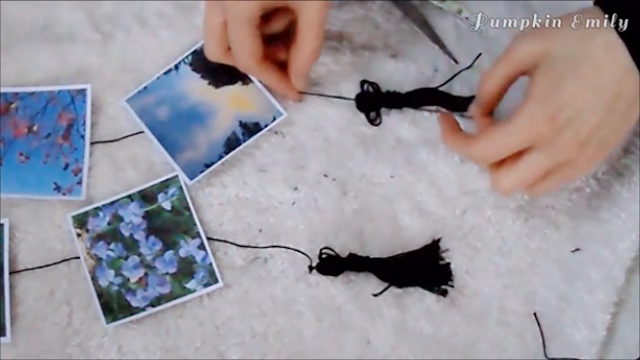 After you're done tying the string onto the stick, you want to layout your pictures onto the string and after you like the layout of your pictures you want to tape the pictures onto the string. After you get all of your pictures onto the string you can tie the tassels onto the string and cut the extra string off. 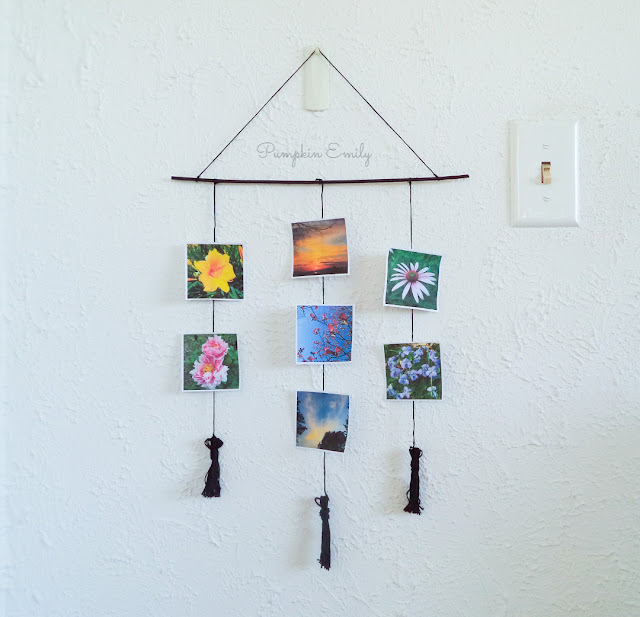 The last thing you have to do is to tie a piece of string onto both sides of the stick so the picture display can hang on a wall and and then you want to cut off the extra string. and then you'll be finished with this really easy DIY. 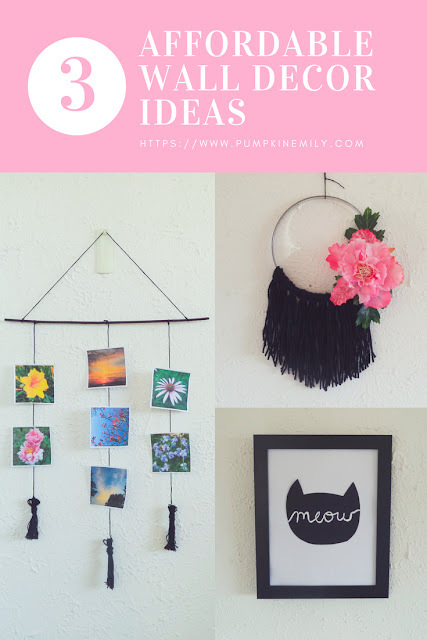 and that's how you make all of these wall decoration ideas! In the comments down below let me know which one of these wall decoration ideas is your favorite. Bye!